Featuring the ceramics works of Fiona Davis, Deborah Goodwin and Amanda Ann Palmer. The ArtisTree Gallery invites you to the first in a series of new exhibits which aim to explore a medium through the work of three artists. 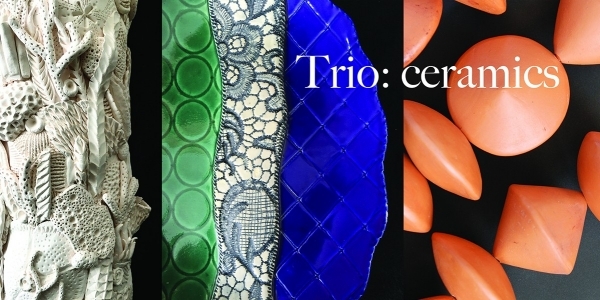 The series called TRIO, begins with this inaugural exhibit of ceramics.